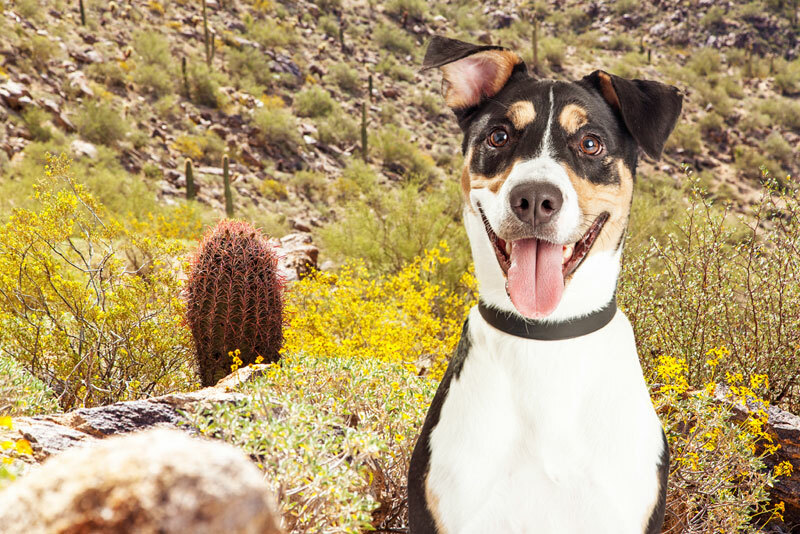 The Matterhorn Inn is a dog-friendly Sedona hotel offering a select number of dog-friendly rooms where your pup is allowed to experience the wonders of Sedona. Each dog-friendly room is non-smoking, has a private terrace with views of the red rocks, and has either one king bed or two double extra long beds. Dogs are allowed only in designated dog-friendly rooms, and dogs must be declared upon reservation and upon arrival. A non-refundable daily charge of $20 per day is required. Failure to declare a dog renders a $100 charge per day. We pay special attention to our guest rooms which accommodate dogs. While in the rooms, all pups must be either kenneled or accompanied by their owner at all times. Each room may have up to 2 dogs. Owners are monetarily responsible for all damages incurred by pets. Housekeeping services will be provided only with the pet owner present. The Matterhorn Inn takes all necessary measures to ensure the safety and comfort of all hotel guests and their dogs. A cell phone number is required so that owners can be notified if the dog is uncomfortable or barking while left alone in the room. We have recently added an enclosed area for dogs, beneath a shaded tree for you to sit comfortably while your pup sniffs around freely. Additional nearby services available include dog walking routes, hiking trails, local veterinarian services, pet shops and groomers. The Matterhorn Inn is a proud sponsor of the Sedona Dog Park, an off-leash dog park, located only 2 miles from the Matterhorn Inn. Please contact the friendly staff at the Matterhorn Inn at 800-372-8207 for further information about our dog-friendly hotel in Sedona.